HarmonicBrain Work Stress is designed and scientifically proven to help you perform better when you are under pressure. You can feel better, have greater resilience, and give yourself the boost you need to perform at your best – even under pressure. 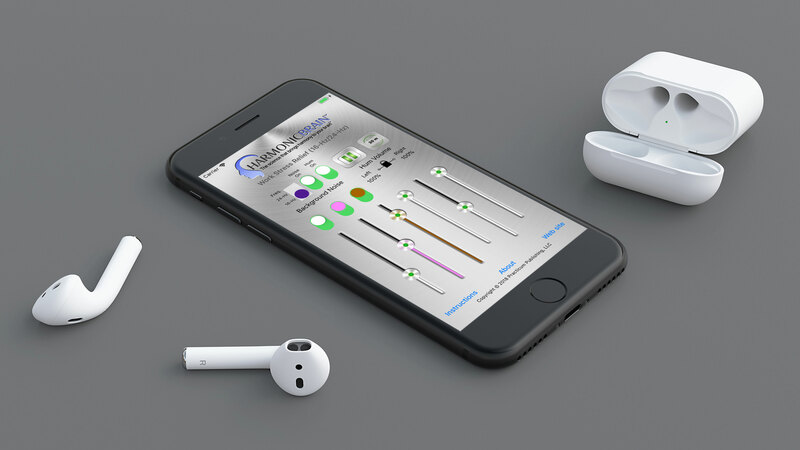 Features include background operation, independent volume controls for your left and right ears, pink, white, and brown noise, a 16-Hz/24-Hz frequency selector, and session timer. Feel worn-out, exhausted at the end of the day? Maybe sooner?! Is stress making you forgetful, confused, unable to concentrate? But here’s the good news: Even though both groups felt the stress, the people who listened to a 16-Hz or 24-Hz hum (the same as that produced by HarmonicBrain Work Stress) performed better and felt better than the control group that did not listen to the hum. Both frequencies (16-Hz/24-Hz) produced the same beneficial results. Would you like an extra dose of calm? When people were able to listen to their choice of music, their anxiety levels dropped by 16% compared to the control group. Want similar results? Pop your earbuds in for a few minutes, pick out some of your favorite music, and run a HarmonicBrain session. Overall, study participants who were exposed to beta-frequency brainwave entrainment (the same as that produced by HarmonicBrain Work Stress) while performing a demanding, highly monotonous task scored better, with more accuracy, greater consistency, and had significantly better mood. Being calm may also aid with performance. In a different study, the anxiety levels of participants reduced by 16% when they were able to listen to music of their own choosing for 30-minutes. 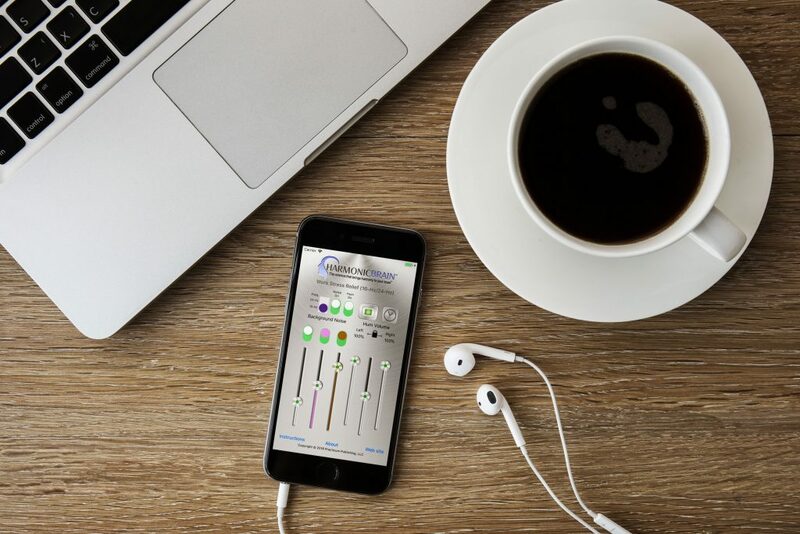 HarmonicBrain Work Stress provides the 16-Hz/24Hz brainwave entrainment audio and is designed to run in the background, so you can listen to any music or any audio or video of your own choosing during your brainwave entrainment sessions. Try the combination of HarmonicBrain with your choice of music during your entrainment sessions.